The world’s biggest mosaic museum is located in Gaziantep, Turkey, and has been open to the public since September 2011. 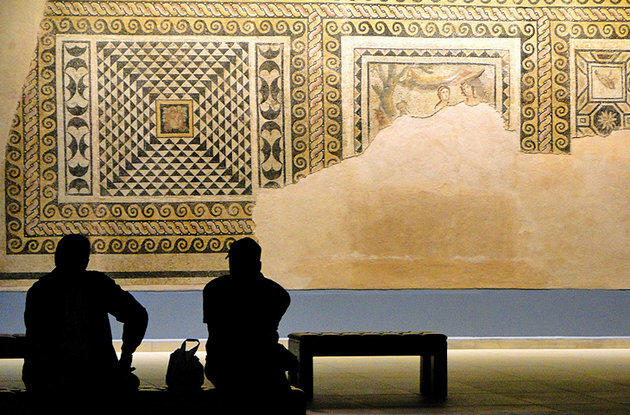 Built in homage to Zeugma, one of the four major cities of the Kingdom of Commagene, the Zeugma Museum is home to the archaeological legacy of the ancient town, sheltering some of the world’s most precious mosaics. With execution costs estimated at 30 million dollars, the largest museum of its kind comprises 550 square meters of mosaics reflecting the history of the ancient city of Zeugma founded by Alexander the Great in 300 BC on the banks of the river of Euphrates. The mosaics stretch over thousands of square meters including the historical pieces and remains of Zeugma found during the excavations. What’s impressive about this museum is that it harmoniously brings together history with modernity in the way it restores and exhibits the mosaics. 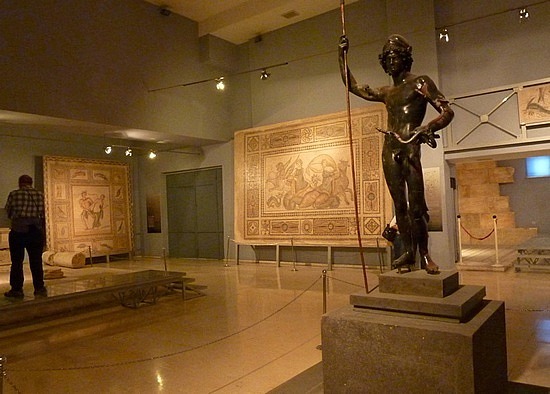 Using laser system and unique lighting effects, the museum resorts to advanced technology to recreate missing parts of mosaics or add beautiful optical effects through interactive mosaic panels, virtual reality systems, and three-dimensional shows that make visitors’ experience a mystical journey through time. In addition to many mosaic pieces, mosaic murals, mosaic fountains, and other valuable items, the museum is home to the world-famous “Gipsy Girl” mosaic known for her striking wild look, and whom scholars suggest to be Gaea, the goddess of the Earth.